मोराची चिंचोली : एक दिवस निसर्गासोबत! चला जगूया एक दिवस गावातला! जावूया मोराची चिंचोलीला! आला आला वारा संगे पावसाच्या धारा...चला जावूया मोराच्या चिंचोलीला..
A perfect destination to spend a day with nature. Nature has always showered her blessings on her. It is one of her blessings to the mankind. It is among the most visited weekend picnic spots in Maharashtra. The place is located near to Pune and is well connected through road transport. The main attraction of this tourist point is the impeccable and unmatched natural beauty of the place that depicts the fresh colors of nature. It is a beautiful landscape that serves as a home for hundreds of flora and fauna. Dancing peacocks and surrounded tamarind trees add beauty to a hundredfold. The place is just 50 kilometers away from the city life of Pune. It is a hub of various recreational activities that are carried out on its premises. There are many available facilities and infrastructures that add to the enjoyment component of the visitors. Activities such as tractor rides, hurda parties, children's park, rural games, bird watching, candle nights, nursery, outdoor games, and camping are being organized.There are special arrangements for children to carry out their fun-loving activities with full freedom. Children's park, magic show, puppet show are few of the glimpses of the activities that are organized specially for kids. the tourist place near Pune gives an enthralling experience and a marvelous feel of rural life style. Visiting this place is a great opportunity to refresh, energize and revitalize. This is the best place for those who are searching for a getaway from the hectic day to day city life. The tourist place, it is an organic farm without pollution and this makes the destination acceptable for all. The place is a perfect stop to look for diverse flowers and plant species. The full-fledged nursery will unveil the collection of it. If you want to get indulged in the mesmerizing beauty of nature. 50 km away from Pune, the place is confined to a spring reminder nature. Here, you'll come across a garden full of tamarind trees and also plenty of other different trees and shrubs. You will be mesmerized by the agricultural life and will be immersed more in your character. We are one stop solution for one day picnic spot near Pune. It is also frequently visited by families looking for a peaceful picnic spot. It is a place which is closeby to Shirur -a home to many vacationers. Shirur is just an hours drive from Pune or one can also commute there in bus. The Indian National bird is not a newcomer to this village. Villagers claim that even their ancestors co-habited with these birds and the tradition has survived and flourished. It is believed this village is now a home to over 2,500 magnificent winged beauties. Mayur Baug is one's ideal destination for a day trip to watch the glorious birds in their magical splendor and in abundance. A graceful village blessed with sacred peacocks and noble shady tamarind trees. Located 55 Kms from Pune and around 180 Kms away from Mumbai. 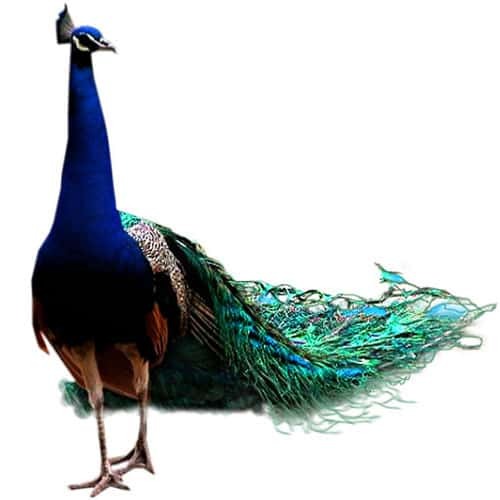 An overnight stay in the village will give you the best peafowl experience. A place where one will find wild peacocks more than the population of local villagers. Peacocks help villagers by eating harmful crop insects and also by keeping snakes away from the village. At the same time, villagers also feed the peacocks. They love to eat pearl millet, sorghum, sesame seeds, onions, green chilies and potatoes. During Peshwa Dynasty, a lot of tamarind trees were planted which attracted the peafowls. Tamarind trees offer both pleasant temperature and weather conditions. All activities are in an environment that is pollution and noise free, and have a generally salubrious and health-promoting environment. Bullock carts that were used in the ancient times for various reasons such as travelling or transporting goods from one place to another are part of our culture. There is a complete history connected with this way of transportation, which came into being after the discovery of the wheel. In ancient days, it used to be the most popular and convenient way of transportation. It is a two-wheeled or four-wheeled cart connected to a pair of ox or bullocks, or it could be a single bullock as well. It was one of the major transportation means in ancient days and hold a strong cultural connect. It is still being used in modern days by farmers being a less expensive mean. However, this culture is vanishing slowly as modern vehicles have replaced it. But the feeling that you will get while sitting on a bullock cart cannot be replaced by modern vehicles. In fact, our children are totally unaware of this type of vehicle and the fun of riding it. These bullock carts at Morachi , are pulled by oxen that assure you a complete vintage feel while you sit on it and admire nature Have fun, be active and ride a bullock cart at MorachiChincholi. You will be enthralled and mesmerized with the nature that goes beyond a ride. It could be converted into a nostalgic experience, all you got to do is just be yourself and enjoy the ride while you are on it. Life is very different in urban areas as compared to the rural areas. From the houses, occupation, streets, mode of transportation, business, food, everything is totally different in both areas, i.e. urban and rural areas. People in urban areas eat whatever is available in the market for example, hybrid fruits, the market is full of vegetables and fruits exported from the foreign countries, we really do not know what is a local produce and what is not; whereas people in the rural areas eat fresh fruits grown on their own farm, and it makes it more healthy being taken in the purest forms. While most of us do not have a real time experience with the natural or the purest form of produce, they eat the healthiest form of food in the villages. Thus, keeping this in mind, Morachi Chincholi offers you a unique experience of Hurda parties. Hurda parties are the gatherings, where you are served with the first ripe tender jawar which is barbecued in hot coal. Eating this barbecued jawar with a mixture of dry coconut, garlic and red chillichutney beside a bonfire just adds a spark to your trip. We assure you, that the experience you would get, will be out of the world and you would look forward to more of it. The frequent trend these days is, when we look at the children, they are more engrossed in their parent’s mobiles, iPads, TV, and other gadgets rather than going out and playing. We as a parent sometimes have to struggle to get them to play in the open area. But sometimes parents also avoid these situations as children are engrossed somewhere without bothering them. But if we study the bad impacts of the gadgets, we can understand the behavioural or the emotional challenges which the kids are facing these days. Naturally,If we see, the children always love to play in a park rather than in homes because it helps the children to naturally come out of their shell and be more social. 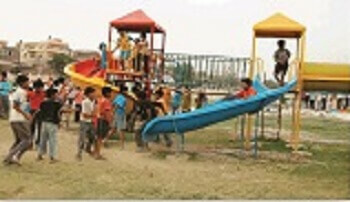 This encourages them to participate in various activities and games. Morachi Chincholi gives you that opportunity to be with your children and encourage them to participate in many outdoor activities. It opens up all the barriers which you otherwise placed on them. This will also help them to make new friends. Parents also love it when their child is totally happy on a family trip. MorachiChincholiis a one-day picnic spotwhich offers a whole lot of activities for adults and children’s park for children so that both parents and children have a memorable time. It is a true symbol of natural beauty with freshness in the air. The serene beauty of the place is outstanding and makes every visitor mesmerized with its purity. The village culture has been well preserved by the organizing committee and it depicts the true colors of our roots - the village life. The place is a perfect stay for those who are in search of finding peace and relaxation in their life. The main highlight of the place is dancing peacocks that hold the attention of every passerby. It's time to take a small break from your busy schedule and make your mind and body refresh and revitalize with nature.The rural experience you will get during your stay in Morachi Chincholi is unforgettable and will be a lifetime experience for you! The location of the place is a perfect fit for individuals who are looking for an instant break from city life. Outdoor games are the best way in which you can release your stress and unwind yourself. It not only helps us physically, but helps us to be mentally and emotionally fit as well. Outdoor games indulge you in different games or activities which help you to reduce weight, improve your metabolism and digestive system too. Apart from this, it increases our good hormones and releases the stress. There is always a feel-good factor attached to outdoor play. Some of the games are played individually and some are played in teams. All types of games have their added advantages, like physical, emotional, social and intellectual benefits, but team games help one to become a good team member, understand others with their capabilities and capacities also. 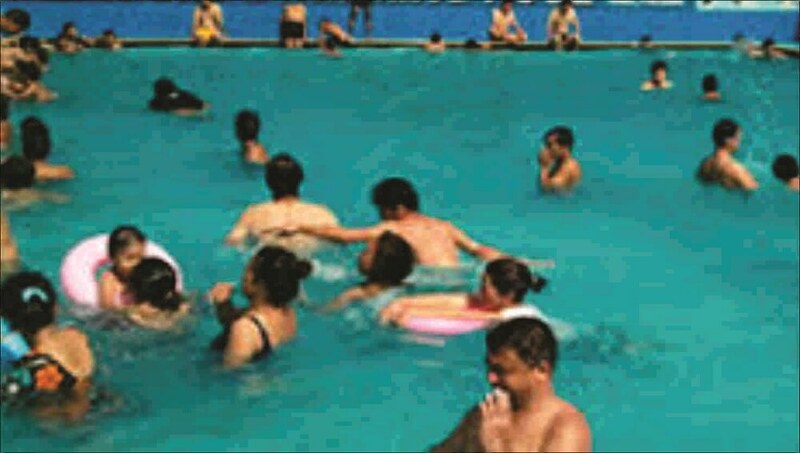 Apart from this, there is a lot of bonding which can happen with the outdoor games. You can indulge yourself in many outdoor games such as tug of war, cricket, badminton, football at Morachi Chincholi a holiday spot near Pune. Playing these games at a picnic spot will put you in nostalgia and make you feel that you have returned to your childhood once again. There is always a time for everything. In earlier days, the games which were played are totally different from the ones which are played now. There are many factors impacting these things which could include the available time, available space, technology, people and many more. With the advent of technology, people had to move from rural areas to urban areas in search of better opportunities and with these, there was a tremendous increase in stress, lifestyle changes and available time. Technology has played a great role in bringing all of these changes and we can see now that our children are completely gadget bound. Moreover, we also prefer spending time with gadgets over outdoor play. There are still many games that are only played by the rural area children because children who are born and bought up in cities either don’t have a surrounding to play such games or don’t have such friends who can guide them to play these games. There is a child inside each one of you who simply wants no stress, no worries, just smile and enjoy life. Get a chance to play all the rural games at MorachiChincholi that you have only dreamt about. Just be yourself and do whatever makes you happy. We assure you it will be a different and extremely awesome experience. You can indulge yourself in many outdoor games such as tug of war, cricket, badminton, football at MorachiChincholi a holiday spot near Pune. Playing these games at a picnic spot will put you in nostalgia and make you feel that you have returned to your childhood once again. 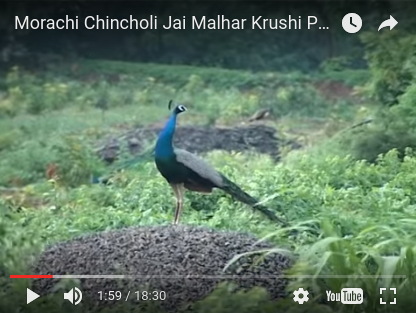 Morachi Chincholi as the name suggests, is a home to our national bird Peacock. Step into the embrace of nature and watch the beauty of birds. Bird watching assures you a complete peace of mind as you watch the birds in complete silence. Gradually you will start immersing yourself in the slower rhythm of your life. Spend a whole lot of time observing and learning the different behaviour of the birds and how they communicate with each other. Listen to the various birds chirping and let their voices welcome you to a whole new world. Bird watching is also a hobby for many of us as it takes us to a new and totally different world. It brings peace, beauty, and calmness to you ultimately taking you away from the stressful and competitive world. This is a place which can help you heal with just a day’s picnic and bringing more positivity to you which enhances your peace of mind and brings creativity, productivity, and stress-free work life. Streets are filled with so many street lights that nowadays it is even difficult to view the stars. MorachiChincholi offers a perfect getaway for couples in a desi style. Enjoy a wonderful breezy evening under the dim lights of kandil with your soul mate.Kandil Nights have been organized by MorachiChincholi for giving you an experience which otherwise is unavailable in our cities. Enjoy the best moments of life together and bring out the best in you. It’s time for you to get the right place at the right time and don’t let go. Have a wonderful time with your soul mate under the kandil lights who wants to hear about all the things that go on in your head. Be relaxed, enjoy the food and your ambiance. As the population increases the cutting down of trees also increases. This makes it difficult for the people to discover new species of plants. A nursery is a place where there are a lot many varieties of plants available under one roof. These could be any kind of ornamental plants, shrubs, herbs, and many more types of plants. Nurseries grow plants in open fields or greenhouses. They also help in conserving some varieties of plants also. Come to Morachi Chincholi to view a variety of flowers and plants that are grown with care.It can give you a great learning, and a great visual too. As you reach the location you will start experiencingthe wind blowing through your hair. You will start feeling positive with the freshness of the surrounding; this will also help you to keep your mind fresh. Inhale the fresh air as you enter the nursery and mesmerize yourself with the beauty of nature. One of the best experiences in life would be to live in a tent. Camping is a very fascinating name and can give excitement to many of us. It is one of those outdoor activities which involves overnight stays in a shelteraway from home. Usually,people prefer to spend time outdoors in more natural ones in the questfor enjoyment rather than in developed areas. Have a wonderful day exploring the beauty of nature and live the night with some cool breeze, dark night under the stars in a tent at MorachiChincholi. The experience that you will find in a tent could not be fulfilled by an apartment in the cities. Just sit back and relax because a good day camping is far better than a good day working. It’s time to get adventurous as you are still young. Life is not meant to be at home, it is meant for great adventures. Morachi Chincholi , Taluka: Shirur, District: Pune, Pin: 412 218. Copyright © 2018 Morachi Chincholi. All rights reserved. Website Designing Company - DreamWorth Solutions Pvt. Ltd.